Roberts and Hedges' Clinical Procedures in Emergency Medicine continues its long tradition of being the most well-known and trusted procedures manual in emergency medicine. 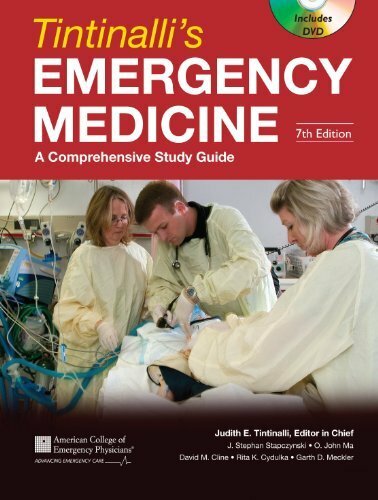 The newly revised 6th edition of this classic medical reference has been thoroughly updated with step-by-step Review, Procedure, and Ultrasound Boxes covering the latest equipment, devices, drug therapies, and techniques you need to know for effective practice of emergency medicine. You'll access complete and detailed guidance on exactly when, how, and why to perform all of today's common and uncommon procedures and get the best results. Understand the ins and outs of every procedure you're likely to consider, such as how, why, when to, and when not to perform them, in addition to other emergency procedures that may be an option. Rapidly review the entire contents online, including brand-new videos of common and complex procedures, at Expert Consult. See entire procedures at a glance with the addition of new Procedure Boxes, which offer step-by-step visual instruction on over 250 emergency techniques. Ideal for point-of-care reference, these Procedure Boxes also serve as a comprehensive mini atlas and are especially useful for less-encountered procedures or those that require complex equipment. Easily apply the latest emergency ultrasound techniques through new Ultrasound Boxes, all of which are expertly written and richly illustrated with photographs of the technique as well as screen captures of the US images. Master today's hottest new procedures including ultrasound for diagnosis of pneumothorax; loop abscess drainage; pediatric fluid resuscitation; and video-assisted intubation. Clearly and efficiently visualize all emergency procedures with a complete overhaul of figures, now nearly all in full color; new diagnostic images representing multiple modalities; and online-only procedural videos demonstrating key techniques. Written by senior faculty at Cook County Hospital, Cook County Manual of Emergency Procedures presents over 100 procedures performed in the emergency department in a templated, bulleted format. This text is an invaluable guide for the clinician who may confront a wide range of emergencies, both common and less common. Key illustrations guide the reader through topics ranging from airway management to nerve blocks, suturing, splinting, dental emergencies, and ultrasound-guided procedures. The text is supplemented with step-by-step videos of select techniques, which are available on the companion website. Rely on Rosen's Emergency Medicine for the latest answers on every facet of emergency medicine practice. For decades, this medical reference book has set the standard in emergency medicine, offering unparalleled comprehensiveness, clarity, and authority - to help youput the latest and best knowledge to work for your patients in the ER. Practice confidently with easily actionable, dependable guidance on the entire breadth of emergency medicine topics. Get expert guidance on how to approach specific clinical presentations in the ER. The "Cardinal Presentations Section" provides quick and easy reference to differential diagnosis and directed testing for fever in the adult patient; dizziness and vertigo; chest pain; and over 20 other frequently seen presentations in the emergency department. Effectively apply the newest emergency medicine techniques and approaches, including evidence-based therapies for shock; high-cost imaging; evaluation and resuscitation of the trauma patient; cardiovascular emergencies; evaluation and risk stratification for transient ischemic attack (TIA) patients; and much more. Locate the answers you need quickly thanks to a user-friendly, full-color design, complete with more illustrations than ever before. Access the complete contents on the go from your laptop or mobile device at Expert Consult, fully searchable, with links to PubMed. Avoiding Common Errors in the Emergency Department succinctly describes 400 errors commonly made by attendings, residents, medical students, nurse practitioners, and physician assistants in the emergency department, and gives practical, easy-to-remember tips for avoiding these pitfalls. This pocket book can easily be read immediately before the start of a rotation or used for quick reference on call. Each error is described in a short clinical scenario, followed by a discussion of how and why the error occurs and tips on how to avoid or ameliorate problems. Areas covered include psychiatry, pediatrics, poisonings, cardiology, obstetrics and gynecology, trauma, general surgery, orthopedics, infectious diseases, gastroenterology, renal, anesthesia and airway management, urology, ENT, and oral and maxillofacial surgery. Sections that focus on non-clinical aspects of emergency medicine practice—such as proper documentation, communication with consultants, and interactions with lawyers—are also included. Our first finished project is Toxicology in a Box, a set of pocket toxicology flash cards which provide a fun, fast way to learn essential clinical toxicology information. Using humor, visual stimulation, mnemonics, and other learning aids, Toxicology in a Box is designed to help students and practitioners quickly and easily learn and recall clinical toxicology information. It is written and edited by a practicing emergency physician for emergency physicians, takes a step-by-step approach to the selection and interpretation of commonly ordered diagnostic imaging tests. Dr. Joshua Broder presents validated clinical decision rules, describes time-efficient approaches for the emergency physician to identify critical radiographic findings that impact clinical management and discusses hot topics such as radiation risks, oral and IV contrast in abdominal CT, MRI versus CT for occult hip injury, and more. 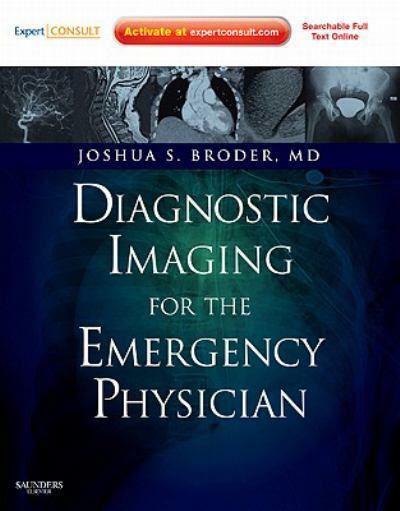 Diagnostic Imaging for the Emergency Physician was awarded a 2011 PROSE Award for Excellence for the best new publication in Clinical Medicine. Access the fully searchable text online at Expert Consult, along with downloadable images suitable for use in educational presentations. Choose the best test for each indication through clear explanations of the "how" and "why" behind emergency imaging. Interpret head, spine, chest, and abdominal CT images using a detailed and efficient approach to time-sensitive emergency findings. Stay on top of current developments in the field, including evidence-based analysis of tough controversies - such as indications for oral and IV contrast in abdominal CT and MRI versus CT for occult hip injury; high-risk pathology that can be missed by routine diagnostic imaging - including subarachnoid hemorrhage, bowel injury, mesenteric ischemia, and scaphoid fractures; radiation risks of diagnostic imaging - with practical summaries balancing the need for emergency diagnosis against long-terms risks; and more. Optimize diagnosis through evidence-based guidelines that assist you in discussions with radiologists, coverage of the limits of "negative" or "normal" imaging studies for safe discharge, indications for contrast, and validated clinical decision rules that allow reduced use of diagnostic imaging. Clearly recognize findings and anatomy on radiographs for all major diagnostic modalities used in emergency medicine from more than 1000 images. Find information quickly and easily with streamlined content specific to emergency medicine written and edited by an emergency physician and organized by body system.